I started Soap Queen in 2007. At the time, blogging was relegated to dark and cobweb laden corners of the internet. 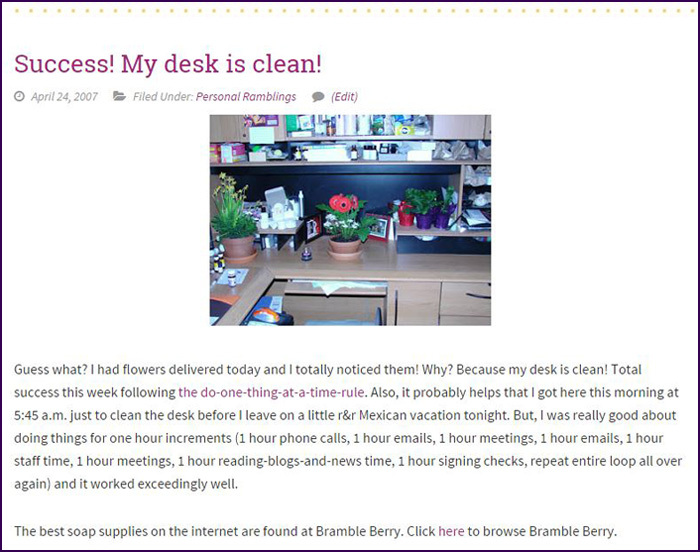 I started to blog because I wanted a direct outlet to speak to fellow soapers and Bramble Berry customers. As Bramble Berry had grown, I couldn’t answer every single email myself, pack every box, and talk to all our customers one-on-one. I knew I missed that connection and a blog seemed like a way to get it back. 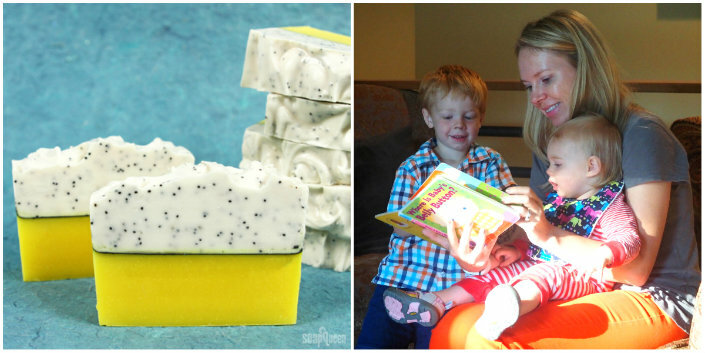 Plus, a blog seemed like the perfect way to share soap tips, recipes and techniques. Experimenting with soapy recipes and techniques is always fun with more friends to share it with. Finally, I was hoping that blogging could be used to further personal connections with friends and soapers all around the world because blogging also allowed me to share my everyday life in the form of more personal posts. Since 2007, the Soap Queen has grown in size, style and professionalism. When I started blogging…I didn’t really know what I was doing. I didn’t own a fancy camera, nor did I always write particularly valuable content (check out this early post). Many posts included no pictures, and were only a paragraph or two. My goal was simply to write something every day … but that was pretty daunting back then. So at first this blog served more as a personal journal, with soap techniques and tips sprinkled in. As I continued to blog, I began to hone in on Soap Queen’s purpose, audience, voice and schedule. Blogging is a constant learning process and over the years I have learned a lot! Want another example of how much Soap Queen has grown? Check out the blog post below from 2007. The photo is rather small and the content is not informative. But it did give readers a peek into my everyday life! The blogging world has grown leaps and bounds since 2007. Across the board, content on blogs have become higher in quality, consistency and abundance. New blogging technology has made it easier to start and maintain quality blogs. 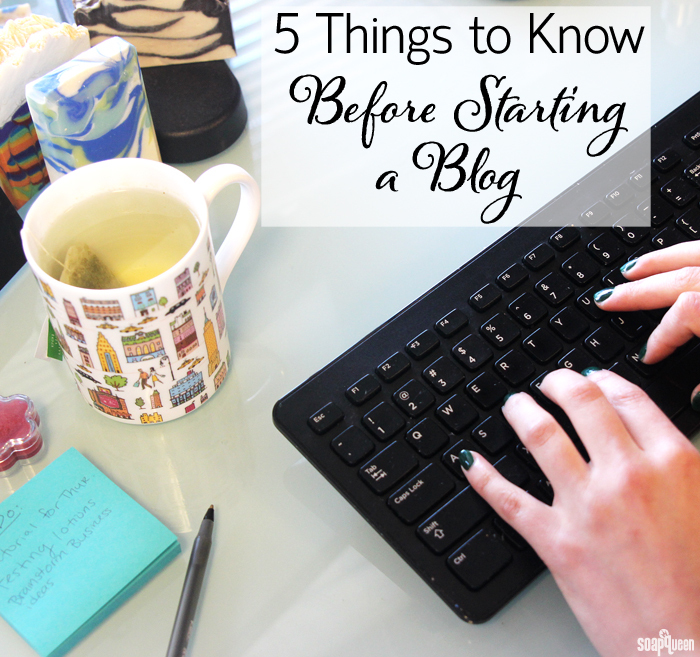 With so much to think about, starting a blog can seem overwhelming. If you are feeling hesitant, don’t be fooled; building a blog takes commitment, planning and plenty of time. But blogging is also fun and incredibly rewarding. I can honestly say this blog has changed my life for the best. Considering a blog of your own? It’s important to first lay down a blueprint for what you want your blog to represent in the online community. The 5 steps below will help you in creating a clear and purposeful blog. I recommend grabbing a notebook to jot down ideas while walking through each step. When starting a blog, the first step is to narrow down the purpose. Why are you starting a blog? Do you love writing, or want to share your photos? Maybe you’re starting a blog to connect with your customers or a certain community. Having a clear understanding of why you are blogging, and what you want to get out of blogging will help in every aspect. When I first started Soap Queen, I knew I wanted to share soaping tips and business knowledge. I also wanted to better connect on a personal level with other crafters. This has continued to be the main purpose for this blog. As the blog has grown, I continue to write posts to achieve this goal. As you begin writing posts and designing a blog layout, always keep the purpose for your blog in mind. What do you want to blog about? Take a few moments to jot down 5-6 topics you are passionate about. Topics can include soap, DIY, home decor, fashion, food recipes/cooking, photography, business, etc. Now, narrow down your topics to three. These topics should be things you feel comfortable writing about and can evolve with over time. It’s fine to have more than three blog topics, but in the beginning stages I recommend narrowing it down as much as possible. This way, you can fine tune these topics over time and later expand into more areas. Focusing on a few topics can help you discover which you feel truly passionate about. It also helps readers know if they want to invest time reading your blog. For example, if you’re super into wood art, my blog probably wouldn’t appeal to you much since I don’t discuss wood art. The main topics of this blog are bath and body tutorials, personal posts and business tips. If I were to narrow down the topics of this blog to just 3 types of posts, they would be: crafting tutorials, business tips and personal posts. There are some posts that don’t fit into this category, but about 80% of them do. Having defined topics will help in brainstorming post ideas, finding a strong readership base, and develop your blogging schedule. Consider who will be reading your blog. Do you want your blog to be read by mostly friends and family, or do you want a broader audience? Who reads your blog will help shape what you write about and how you write it. For example, if your blog is for friends and family you may want to include more personal posts. A familiar audience may also lead to a more casual, personal writing style. If your blogging audience will be potential customers, your content and writing style should reflect that. For example, if you want a wide variety of readers to be comfortable on your blog, cursing probably isn’t appropriate. How do you want to be perceived online? Social media is an interesting thing; it gives you the ability to “create” an online persona via photos and text. Of course you want to be yourself! Authenticity is key (for more on authenticity in blogging, check out my SACRED rules for social media post here). Communicating online is different than communicating in person. When writing a blog, you don’t have the ability to show body language or inflection in your voice for example. The photos, text and content of your blog will shape how others perceive you and the personality of the blog. The photos, text and content of your blog is what creates your voice and online “persona.” It’s important to be authentic and true to yourself. I’m a super positive and energetic person. To make this blog an extension of my personality, I choose to write about uplifting things. I like the photos to also be bright and cheerful. I’m also a business woman, and want the blog to be professional. Because of this I check (and double check) for typos, and do not use terms such as “LOL.” In my everyday life, I’m comfortable using “LOL.” But it does not fit with the voice of this blog. Of course you can make your blog as casual or professional as you want. Your blogging voice may also depend on the individual post. For example I like to keep tutorials professional and to the point, while personal posts are more casual. Having a consistent blogging schedule will build your readership. Consistency is key! It may take a while to find your blogging “groove,” but after a few weeks you will find a blogging schedule that suits your lifestyle. In general, I recommend blogging at least twice a week. The more often you blog, the more your readers will consistently visit your site. Soon, reading your blog will be part of their schedule! I use Google Calender to schedule blog posts and organize future post ideas. Before even starting your blog I recommend making a schedule. I use Google Calender to plan out blog posts. I plan blog posts out months in advance, and move them around if necessary. Having defined topics helps create a consistent schedule. For example, the topics of this blog are tutorials, business tips and personal posts. To make sure each topic is touched upon I schedule a tutorial on Tuesday/Thursday, a business post for Monday or Wednesday and a personal post on the weekend. To further develop a schedule, you may want to buy a timer to discover how long it takes (on average) to write a blog post. Doing so will help you decide how often you are able to blog. The key to consistent blogging is planning. Now that you have a general idea of what you want your blog to be…get blogging! There are so many things about writing and creating a blog that can only be learned by doing. If you’re looking for more resources on setting up your blog, check out the How to Set up a WordPress Blog post. Soap Queen runs on WordPress, and I love how user friendly it is. You may also find the blog posts below helpful as well; they include information on photography, time management and avoiding social media wipeout. Have you been thinking about starting a blog? If so, what is holding you back? Or if you have any blogging tips I would love to hear them! I just want to say thank you for this post. I have been thinking of making a blog for months now and I was about to give up, I guess it was a sign for me to start already. I also want to say I do read you posts every time I received the emails and I want to thank you and your team for all the great work. To be honest it does not matter to me if you personally answer or any of your team members am pretty sure that most answer are run by you and you definitely check on the blog yourself. Plus am sure you team is more than qualify to answer questions. Thank you all at Soapqueen/Bramble Berry for your super awesome blog. I love to write and connect and have lots of places to do it on – from Twitter, to Instagram to the Soap Crafting Club, to live streams with Handmade Beauty Box – there are lots of places I get to interact with soapers and I feel so grateful to have so many outlets to talk about creativity, business, family and formulating. It’s an awesome community, isn’t it? =) Thank you for being part of it! 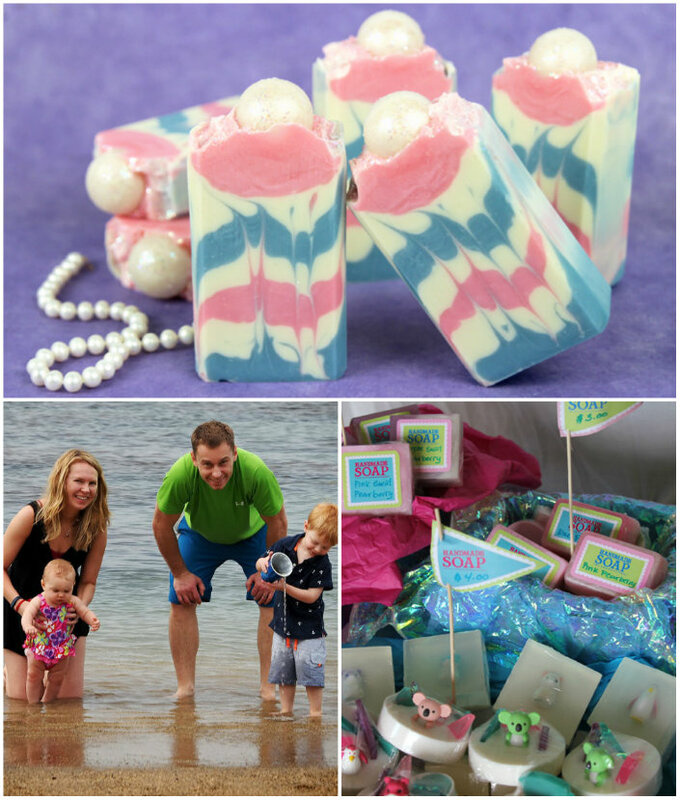 here from the sunny side of South-Africa…I do enjoy each and every of your articles and soap making activities…. cant wait to read and study your block. Great timing for this post! My boyfriend is trying to convince me to start blogging… I make and sell Messy Play Kits, which are educational sensory play activity kits for kids (that’s a mouthful!). It’s quirky and fun, but everything has a purpose for development of new skills. I want to educate the parents as well as provide them with fun activities, and a blog seems like a great way to do that. For now, I’ll stick with my website. But these were really helpful ideas to get the thought process rolling! Thanks, as always! Oh my goodness, I am heading to your site right now to go buy a kit or three =) You do have a natural blogging outlet with the products you sell. Activities for kids, spotlight on development stages, spotlight on ingredients, Mom’s picks, traveling with toddlers … lots of things if you decide to start blogging but finding the time is definitely one the hardest things about blogging. I can’t wait to go shop your site right now! Not trying to sound snarky (really, I’m not!). But, if I am reading a blog by someone (which, I admit, I rarely do) and they invite questions, I expect to see that blogger doing the answering. I understand that you have an INCREDIBLY busy life and schedule (it’s amazing you have time to sleep!!). But, and I mean NO offense to Kelsey, having someone else respond to comments/questions directed to you (Anne Marie) seems, oh, I don’t know, wrong somehow. If we wanted Kelsey’s responses, it should be Kelsey’s blog. The Soap Queen Blog should be 100% Soap Queen. If you don’t have the time to respond to comments, then don’t have a space for comments. Or, devote one of those hours to a generic response (rather than trying to answer everyone!). I don’t have a regular business (I’m a fulltime sahm). But, I do enjoy reading your blog once a week. I think you do a wonderful job and your company’s products are, without a doubt, the BEST. I really hope this didn’t come off sounding rude, it certainly wasn’t my intention! It’s just I think your readers want to hear any responses from you. You may have missed the post where my house exploded. I’m currently moving my family to a new home for the fourth time in the last 3 weeks today so have had less time to devote to answering comments and chatting than usual. Typically on business posts, I always like to be the one answering. Thanks for your comments. I have taken them to heart. Perfect timing for this post. Especially like the specifics like setting up my calendar to keep me on track. Thank you. Your post couldn’t have come at a better time! I have been thinking about starting a blog. I sell soap and found that I wanted to get more detailed with Facebook posts. Without being able to link to a blog on a Facebook post, I felt limited in what I wrote on the topic, my posts were lost within Facebook, and my posts are definitely not found by Google search engines which means I’m losing potential traffic. The solution seems to be a blog! The thing that has been holding me back is the cost. I don’t want a free blogging platform where I lose ownership to my content. I was thinking that starting an online store with a blog attached would be the best option. So I’m in the process of seeking out the best eCommerce platform that can support a blog. The technical issues are also holding me back. Also, I’m focusing my money on my farmer’s market booth displays, and I’m afraid that I don’t have the time *right now* to also get a whole eCommerce webstore up and running and get the blog going. So much to do. So much to think about. So much to prioritize! By the way, your blog has become a part of my schedule! It was fun reading this blog post! You bring up some great points! Blogs do take quite a bit of time, so that is definitely something to keep in mind. If you’re really busy now, it may be difficult to carve out the time needed to developing blog content. However, it is awesome that you are busy – that means your soaps are in demand! Lots of good information here, and lots to take in. I don’t know how you find the time to do everything that you do, but I truly enjoy reading your blog. Good tip to start with 3 topics and take it from there! LOL! I was so embarrassed when I looked back at those old posts to find good ones to show you =) Ahhh … but then I just keep reminding myself that no one is good at everything the first time they start it. Practice makes perfect right? Interesting and very useful post! This is great for someone like me! I blog primarily to talk about my business and soap making but I also don’t want to come off as a library book. It’s a struggle to decide how personal to get and if the article your posting is just fluff. Great article. It was extremely informative.